Sometimes when all else fails and the software bugs can’t be swatted with the old bug swatter you need to delete the email account and start fresh with a new install. 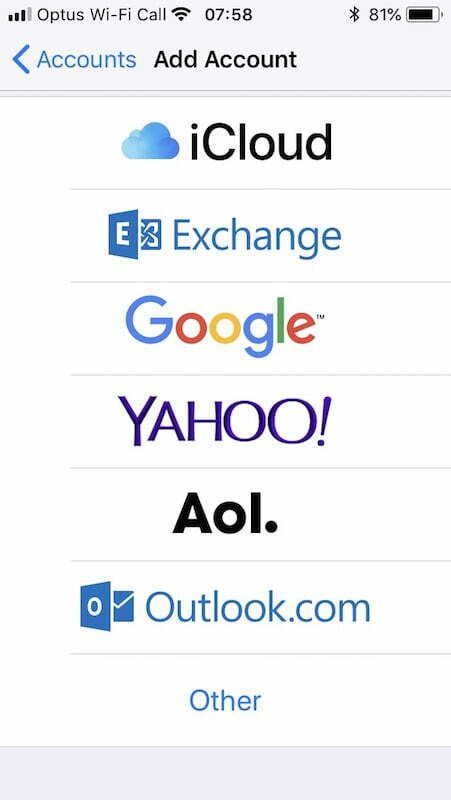 Here are some simple steps in deleting and reinstalling your email account on your iPhone and iPad. This post will guide you through the process of deleting and installing email that was originally setup by Jindy Web Design using cPanel email or email on your website hosting and the settings would have been emailed to you during the setup process. If you don’t have these handy let me know! You are going to need a few things first! Your User name and Password for your email account. Lets delete the account causing the issue. 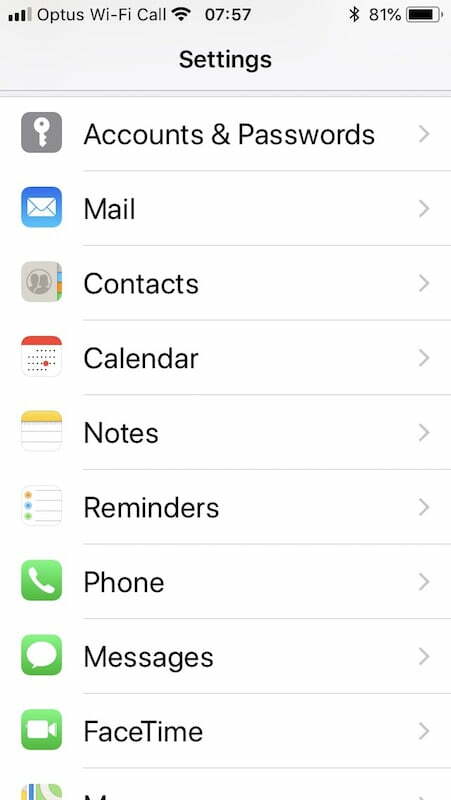 Go to ‘Settings’ from your home screen > then look for either ‘Accounts & Passwords’ if you have older software you may only have the ‘Mail’ setting. On the next page you’ll see your list of account. Click on the account you want to delete, then click ‘Delete Account’ which should be highlighted in Red. For this example we are going to be setting up an email that is hosted through cPanel or your website so we are going to click ‘Other’ at the very bottom please refer to the next image. Description: This is what you’ll see in your list of email account on your phone or iPad. You may have to type what you’d like here or just leave what the suggested option is. On the next page most of these setting will be complete from the previous page but theres some really important info we need to add even though it may say…. ‘Optional’ this has caused many issues…. Always add the Optional if you know exactly what that is! Once fully complete and correct click ‘Next’ top right corner. If no errors come up and blue ticks fly across the screen, click ‘Save’ on the next page and you are done… BUT if there are errors… please read on! If this comes up during the setup, click details and then you come to something very similar to the next image. 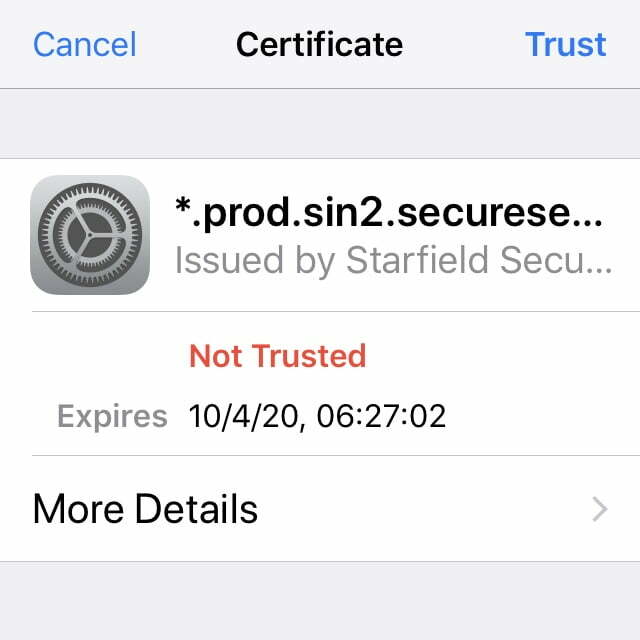 We need to click the Blue ‘Trust’ in the top right corner. This should verify the account and complete the setup. If you managed to solve the issue using this little step by step please let me know by sending through a comment below! Worked a treat for me. Thanks so much!